Lixin Ye earned his Ph.D. in Economics from Stanford University in 2001, and became a full Professor in Economics at The Ohio State University since 2015. He is also serving as the Director of MS program in economics at the School of Management and Economics, Chinese University of Hong Kong (Shenzhen). 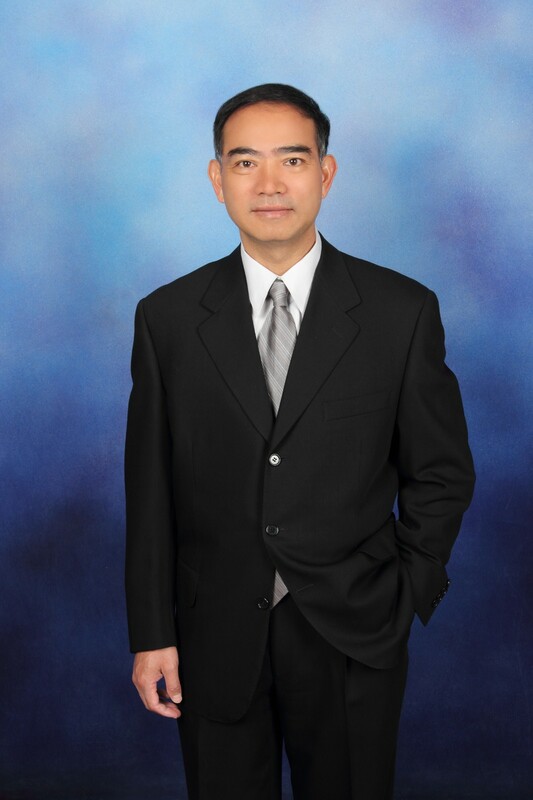 His main research interests are in Microeconomic Theory, Market Design, Industrial Organization, and Contract Theory. 1. “Monopolistic Nonlinear Pricing with Consumer Entry,” with Chenglin Zhang, Theoretical Economics 12 (2017), 141–173. 2. “Competitive Nonlinear Pricing and Contract Variety,” with Jian Shen and Huanxing Yang, Journal of Industrial Economics64(1), March 2016: 64-108. 3. “Theoretical and Experimental Analysis of Auctions with Negative Externalities,” with Youxin Hu, John Kagel, and Xiaoshu Xu, Games and Economic Behavior 82, 2013: 269-291. 4. “Auctions with Entry and Resale,” with Xiaoshu Xu and Dan Levin, Games and Economic Behavior 79, 2013: 92-105. 5. “Efficient and Optimal Mechanisms with Private Information Acquisition Costs,” with Jingfeng Lu, Journal of Economic Theory 148 (1), 2013: 393-408. 6. “Auctions with Synergy and Resale,” with Xiaoshu Xu and Dan Levin, International Journal of Game Theory 41 (2), 2012: 397-426. 7. “Competitive Nonlinear Taxation and Constitutional Choice,” with Massimo Morelli and Huanxing Yang, American Economic Journal: Microeconomics 4(1), 2012: 142-175. 8. “Quality Disclosure and Competition,” with Dan Levin and James Peck, Journal of Industrial Economics 57 (1), March 2009: 167-196. 9. “Nonlinear Pricing, Market Coverage, and Competition,” with Huanxing Yang, Theoretical Economics 3, 2008: 123-153. 10. “Search with Learning: Understanding Asymmetric Price Adjustments,” with Huanxing Yang, The RAND Journal of Economics 39, 2008: 547-564. 11. “Hybrid Auctions Revisited,” with Dan Levin, Economics Letters 99, 2008: 591-594. 12. “Trademark Sales, Entry, and the Value of Reputation,” with Howard Marvel, International Economic Review 49, 2008: 547-576. 13. “Indicative Bidding: An Experimental Analysis,” with John Kagel and Svetlana Pevnitskaya, Games and Economic Behavior 62, 2008: 697-721. 14. “Survival Auctions,” with John Kagel and Svetlana Pevnitskaya, Economic Theory 33, 2007: 103-119. 15. “Reserve Price Signaling,” with Hongbin Cai and John Riley, Journal of Economic Theory 135 (1), July 2007: 253-268. 16. “Bad News Can Be Good News: Early Dropouts in an English Auction with Multi-dimensional Signals,” with Dan Levin and James Peck, Economic Letters 95, 2007: 462-467. 17. “Indicative Bidding and A Theory of Two-Stage Auctions,” Games and Economic Behavior 58 (1), January 2007: 181-207. 18. “On the Use of Customized vs. Standardized Performance Measures,” with Anil Arya, Jonathan Glover, and Brian Mitterdorf, Journal of Management Accounting Research 17, 2005: 7-21. 19. “Optimal Auctions with Endogenous Entry,” Contributions to Theoretical Economics 4(1), 2004: Article 8, 1-27. 20. “Deciding Between Competition and Collusion,” with Patrick Bajari, Review of Economics and Statistics 85(4), November 2003: 971-989. 1. “A Solution for Games with Inadequate Information,” with Liang Mao, January 2017. 2. “Coordination on List Prices and Collusion in Negotiated Prices,” with Joseph E. Harrington, April 2017. 3. “Efficient and Optimal Mechanisms with Radio Spectrum Sharing,” with Chenglin Zhang, Christopher Baker, Joel Johnson, and Huaiyi Wang, August 2016. 4. “Optimal Two-stage Auctions with Costly Information Acquisition,” with Jingfeng Lu, under revision. 5. “Competitive Nonlinear Income Taxation Revisited,” with John Wilson and Chenglin Zhang, under revision. 6. “Refinements in Discrete and Continuous Type Models: Local Credibility Test,” with Hongbin Cai and John Riley, under revision. 7. “Spectrum Buyouts: A Mechanism to Open Spectrum,” with Nobuo Ikeda, RIETI Discussion Paper Series 02-E-002.